Hello, my faithful friends! I’m stopping by to say hello and let you know that I have not disappeared but I am (obviously) taking a short blogging hiatus. 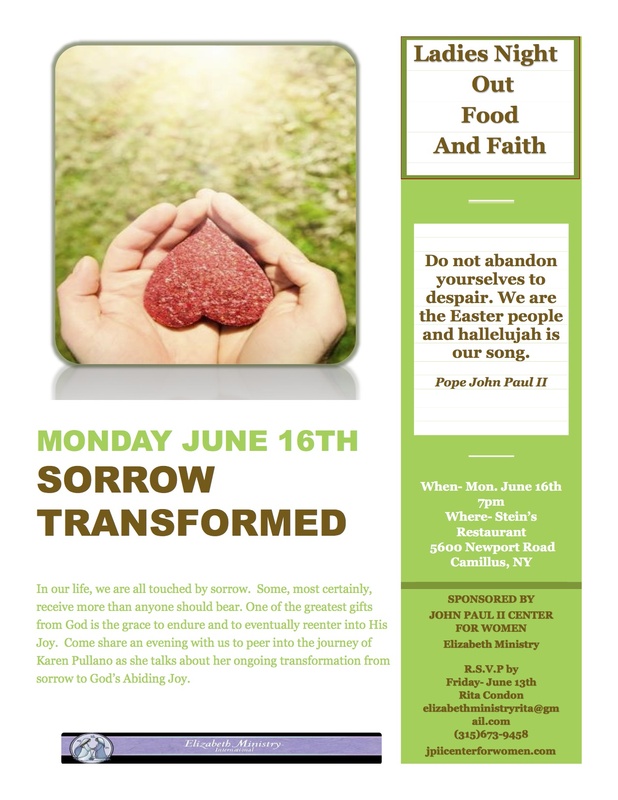 There is a lot going on, as always, but the real reason is that I am preparing to speak at a Food and Faith event here in Syracuse on June 16th. I know it’s a little lame of me, but it is taking all of my mental focus right now. Well that, and a million other things, but mostly that. Ladies, I would love to share the evening with you so please join us if you can. Counting on the Holy Spirit to show up in a big way, and praying I can get out of the way, so I know you won’t be disappointed! In the meantime, find me on my Facebook page where I will be stopping in from time to time. I am now blogging for the John Paul II Center for Women! (And by ‘now’, I mean sometime this decade.) The mission of the JPII center is to promote the dignity of women. 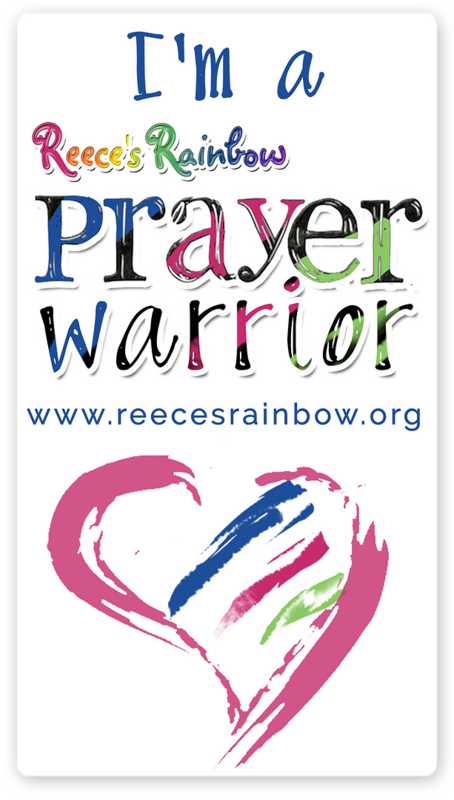 As a woman and a mom to lots of girls, this mission is near and dear to my heart. I want my girls to know the TRUTH of authentic love and the genius of their femininity. I want to share the wisdom of the Church with women everywhere. It is so simple and so beautiful. 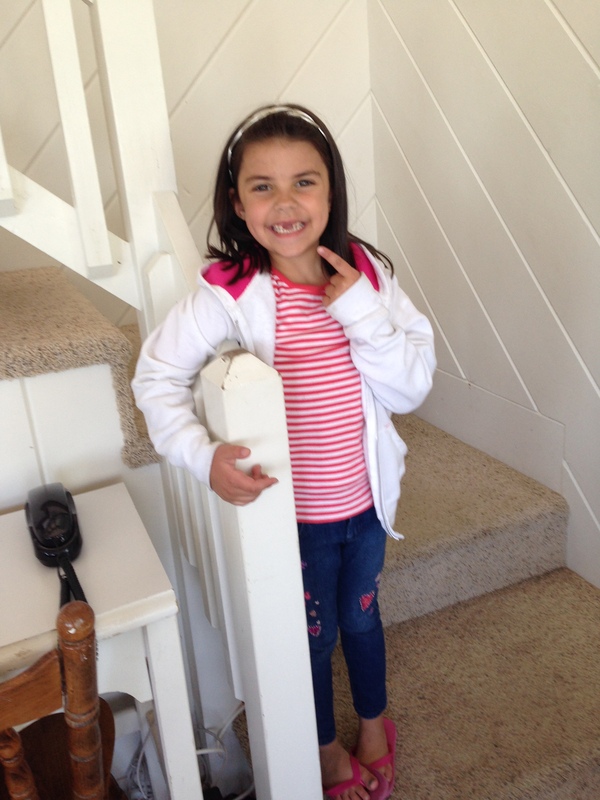 The new blog is called Conversations with Sophia (Sophia being the saint of Wisdom). Check it out here. I would love feedback and input. What do you want to talk about there? Burning questions, hot topics, church teaching; Let’s go there! Here is the funniest thing I have possibly ever read on the Internets. I stole it from Leila. This brought me tears of Joy and laughter! Read the full article here Worst End of school year Mom Ever. The hilarity factor is probably directly proportional to my level of suckage but I am limping people. Have pity. 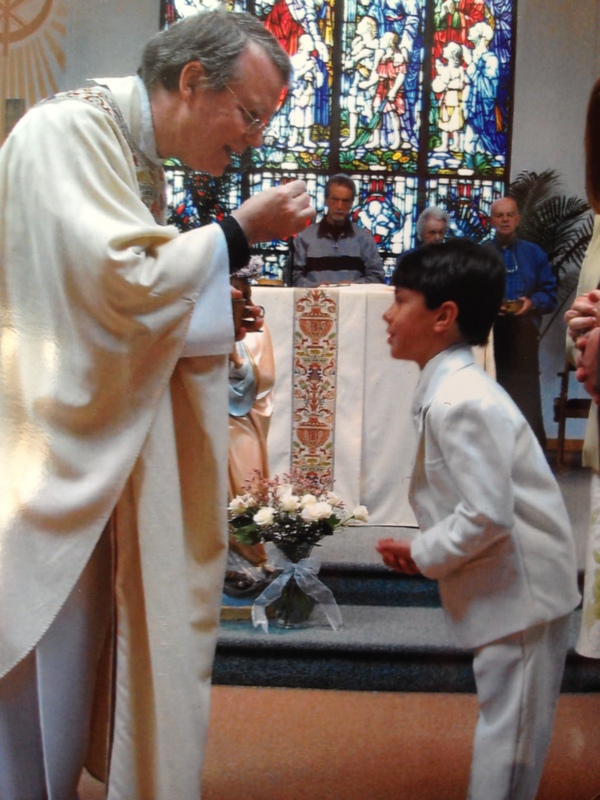 Andrew receiving the Body of Christ in the Sacrament for the first time. 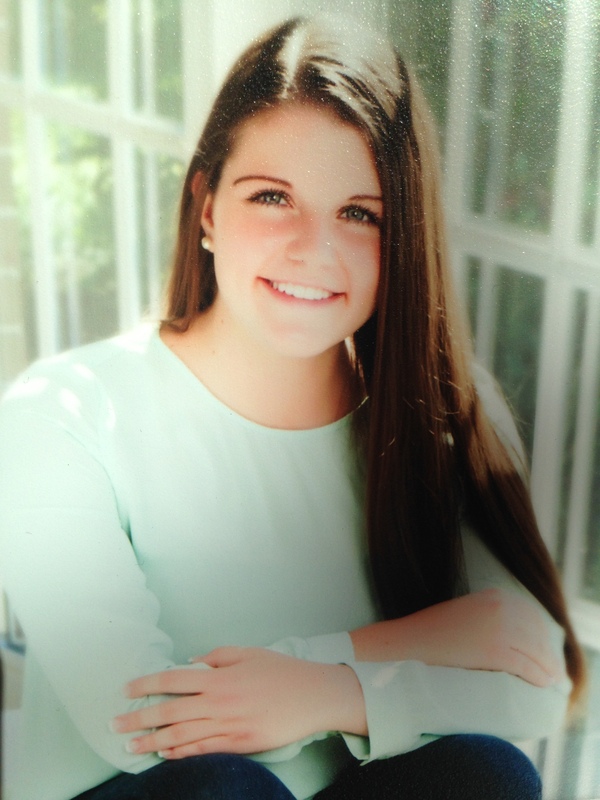 Our 2nd born baby girl Nichole graduates in a couple weeks and is leaving the nest! How about a few Pullano kid highlights? Oh, the wisdom in that!! If you pray the rosary and go to confession often, you will totally get it. Sometimes I wonder if the poor priest hearing my confession feels like he’s in a Charlie Brown episode; I speak words, but he hears ‘blah blah blah’. I bore myself with the monotony of the same sins, over and over. Praying the rosary is a beautiful antidote to those pesky human sinful tendencies that we can’t seem to ‘kick’ on our own. Our Heavenly mother is so wise. 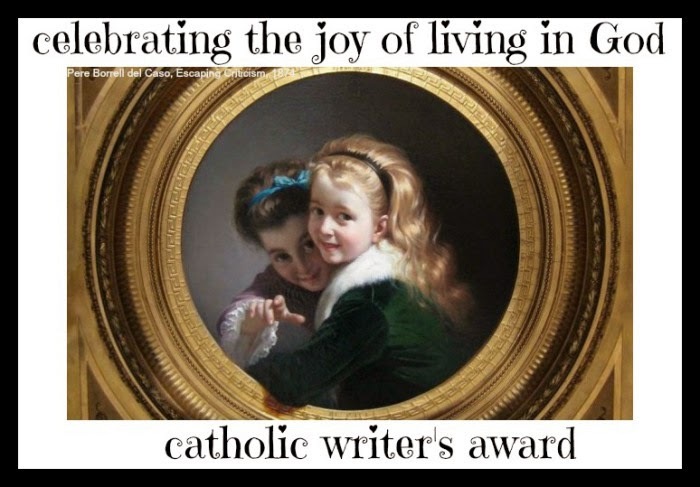 Thanks Anabelle, for The Catholic Writer Award! Yup, that pretty much sums up my blog! I love this award! 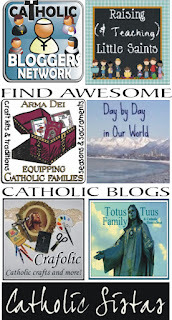 Check out Anabelle’s full post and my blogroll on the sidebar for lots of great inspiring Catholic writing. 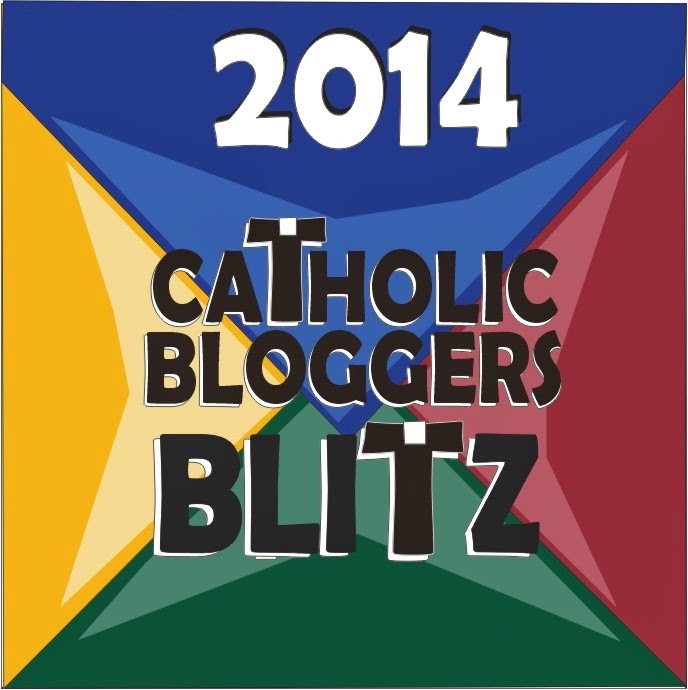 And, if you have a Catholic blog please leave me a link in the comments so I don’t miss you out there! And last but not at all least: a short Reflection from my Garden for Pentecost. We have a healthy strawberry patch in my garden and last week it was in full bloom. The kids were so excited and ran out each day before and after school to see if there were any berries to pick yet. After a few days the flowers faded away but the fruit was not yet apparent. It was an exercise in patience, watching and waiting for the green berries to emerge and then gradually ripen. That waiting time reminds me of the past 10 days in our liturgical calendar. The time between Jesus’ ascension into heaven and the descent of the Holy Spirit on the disciples is a very fruitful and necessary time. It may not seem like much is happening in that upper room, but we know one very important line from scripture, “all these devoted themselves with one accord to prayer” (Acts 1:14). They were gathered together, praying, trusting, abiding, pondering. They were being emptied, so the Spirit could come and fill them, and their mission would bear incredible fruit. This is the most important thing those first Christians could have done. Of course, they had the very best teacher. Like the berries, getting sweeter, absorbing sunshine and nutrients, changing color, and being made ready, so were these men being made ready to receive power from on high. We celebrate Pentecost and pray for a fresh outpouring of the spirit to bring renewal and conversion, in our hearts and in our church. The harvest is being made ready. Let us devote ourselves to prayer and go and make disciples of all nations. So the news you’ve all been waiting for (unless we are friends on FB, Instagram, twitter or I have your email, phone # or you live in my neighborhood or you have children living in the 315 area code….) Drumroll please…. 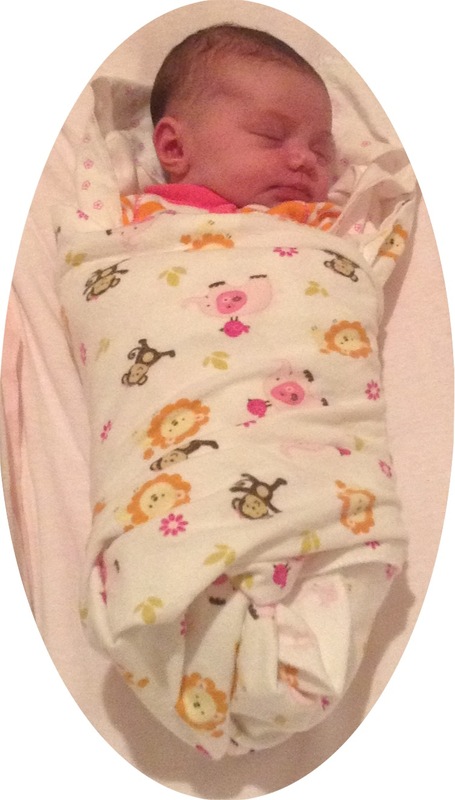 Our princess Olivia Grace Pullano arrived August 6, 2013, 8lbs 13oz. She was and is beautiful and healthy and probably just as stubborn as her Mom Dad since she decided to stay put for an extra 9 days. Nine. Daaaaaaays. Nine… But she is here safe and sound and there aren’t enough hours in the day to adequately Praise God for this little miracle! Yes she was a good size baby but she is still a tiny little nugget and our whole family is totally in love with her! I think we many need a sign-up sheet with a 20-minute rule to cuddle her! Don’t you just love newborn papoose babies?! Just one week after Olivia arrived, Bill and I celebrated our 19th wedding anniversary. While the day was a little overshadowed by, well, breastfeeding, and everything else, the occasion was remarkably celebrated in our hearts. Not a day goes by that I am not thankful for the Man that coerced me into a few dates and quickly stole my heart. I never could have imagined all that God had in store for our lives together. Happy Anniversary Honey. What an honor it’s been to have you by my side! 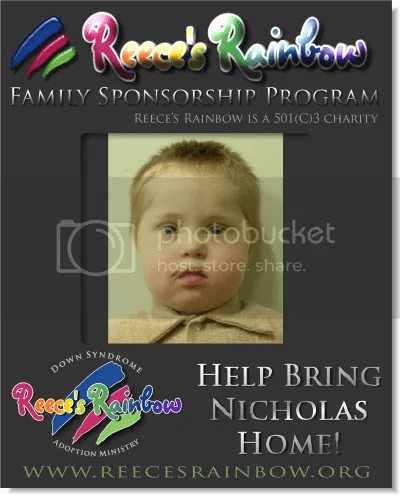 This past week we marked 5 years since our little Michael went home to the Lord. It hardly seems possible that it’s been that long. I can still picture his sweet little face and hear him running to our room as soon as the sun was up and saying, “Mommy and Daddy! Wake up. It’s a beautiful day!” He had the right of it. We didn’t have a minute to waste with our beautiful boy. It’s been a while since I’ve listened to his Song of Love but the minute I heard that music I was reminded how special that song was to Michael and all of us during his illness. I am so grateful to that organization for bringing some Joy during a time that was not very joyful. It always brought a smile to his face to hear his name in a song! Here’s a link to Mikey’s song on YouTube that we put to pictures if you want to check it out! Of course Anna is never far from our thoughts and many days are so bittersweet. Bill and I still say, “I just can’t believe Anna died”. Sometimes I expect her to walk in the door from a long trip or something and the reality hits with fresh force. She is not walking in the door. She is not swiping her newest baby sibling from the cradle for late-night snuggles. She is not joining in the back-to-school frenzy. Her friends are all heading off to college this week and gathered one last time to say goodbye to Anna. 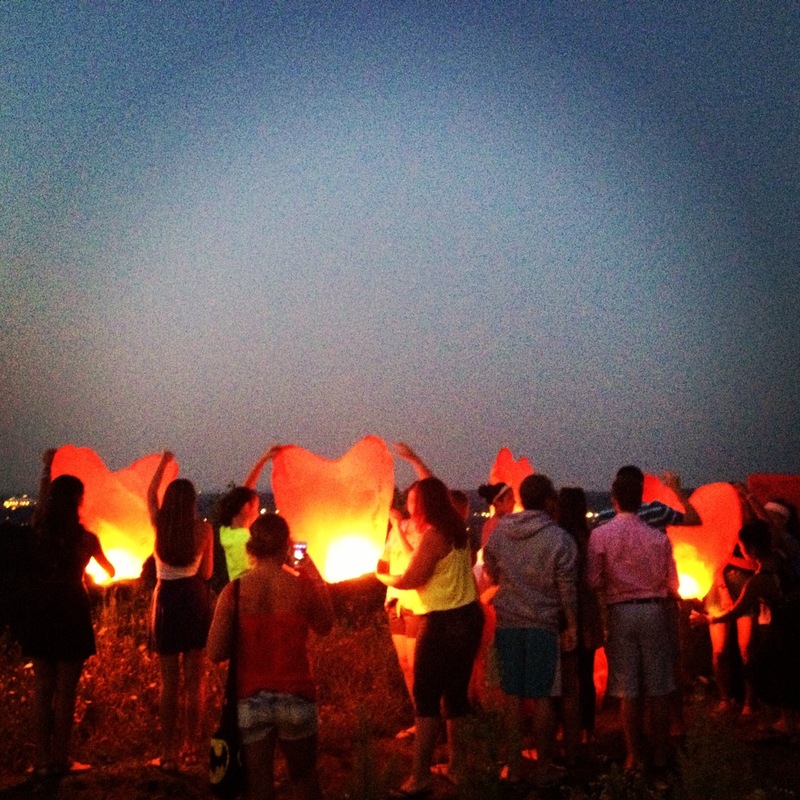 Chinese lanterns made their way up and over the city of Syracuse. Consider the ravens: They do not sow or reap, they have no storeroom or barn; yet God feeds them. And how much more valuable you are than birds! Who of you by worrying can add a single hour to his life ? Since you cannot do this very little thing, why do you worry about the rest. We are not promised longevity in this life. We aren’t promised an easy life, or luxury, or power or wealth or health, but each of us is here for a purpose. We are part of the divine plan with work to do for the kingdom and we have a limited time to get it done. Our time might be gone in the blink of an eye. I know it too well. I will ask myself today, and every day, “Lord, how can I serve you? 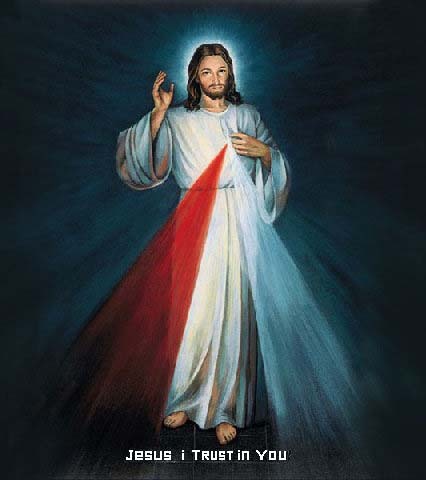 How can I Love You, my Treasure?” and then I will pray for the Grace to do it! And last, a friend recently told me something cool and since I had never heard of it thought you might not have either. He was visiting a church in NJ which had an image of Jesus captioned “Jesus my Pelican”. I had never heard Jesus referred to as a pelican before but it’s really a fitting comparison. “The symbolism of the mother pelican feeding her little baby pelicans is rooted in an ancient legend which preceded Christianity. The legend was that in time of famine, the mother pelican wounded herself, striking her breast with the beak to feed her young with her blood to prevent starvation. 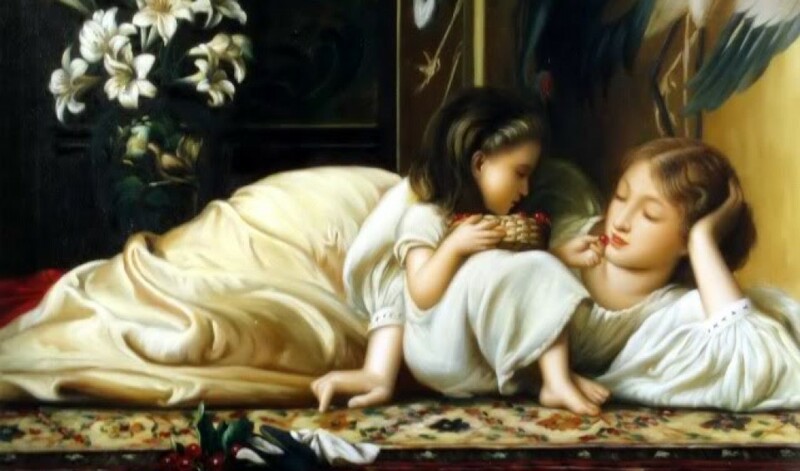 Another version of the legend was that the mother fed her dying young with her blood to revive them from death, but in turn lost her own life.” You can read the rest of the article here http://www.catholiceducation.org/articles/religion/re0682.html Interesting!! Happy Friday! 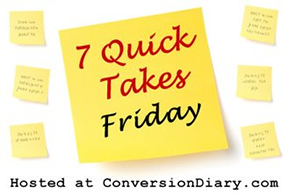 For more Quick Takes, visit Conversion Diary!